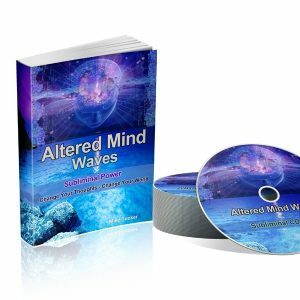 How to manifest faster with law of attraction. 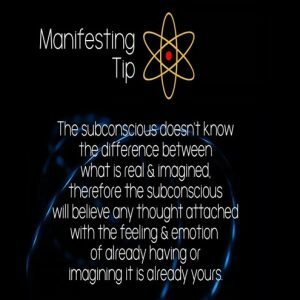 If you are using law of attraction to manifest something you would like in your life and wonder if there is a way to make that process happen faster here are a few tips, you can use, to make things manifest faster in your life. So, you have picked out your desire or goal that you would like to happen. You have been using visualization, affirmations and practicing gratitude in your life but you are still waiting for your desire to appear. Where is it? Why is it taking so long? 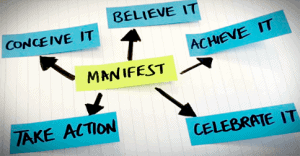 If you want your manifestation to appear faster you have to detach from it. Of course you still want your desire to appear in your life but you can not be stressed or worried about it, this will only defeat everything you’re trying to do. When you come from that frame of mind you are actually attracting exactly what you don’t want, you’re pushing your desire away from you even further. What you are actually doing is attracting the lack of your desire because that’s really what you are thinking and feeling deep down. When you worry about a desire and why it is not coming you are thinking of the lack of it and that’s what you’re going to attract more of. You need to think about what you’re thinking about. Sometimes, I will tell people you need to completely detach from your goal. When you detach and let go you are no longer worrying about achieving your desire or goal and then, coming from that frame of mind, it will appear. Think about the last time you needed a job really bad. You worried about it, stressed about it, because money was not coming in and so on. 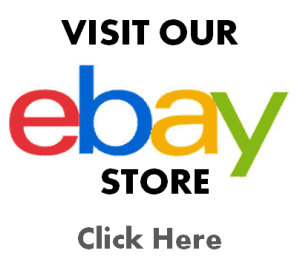 You visualized and used law of attraction to get a job and eventually you did. What happened next? I can almost guarantee you had a flood of offers come in, all at the same time. Why did that happen? It is because you let go and released your goal or desire and were no longer worrying about it. You detached from it. The universe still knew you wanted it and was now ready to deliver it to you because NOW you were in the perfect frame of mind….feeling like you “already had” what you wanted…because you actually did… therefore the flood of offers poured in. This is why you need to FEEL, THINK and ACT like you ALREADY have something in order for it to come into your life. 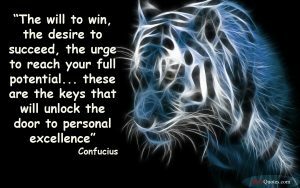 Law of attraction works very fast, and efficiently, if you can get into this frame of mind. I’ve seen the same thing happened many times in other situations, when people let go. Let’s take for example, you are single and looking for someone you can date. You go on all these online dating sites, write your profile, go on many dates, but still… nothing is working out. You eventually meet someone that is a perfect match for you and soon after that you meet three other people that you would like to date at the same time. Feast or famine, isn’t that the way it always works out? It’s because you are no longer attached to your desire and are coming from a better frame of mind in other words you are aligning with your desire and now the universe can deliver, and boy does it deliver sometimes. Some of you are worried about getting an ex back in your life. You worry and get stressed about it, can’t sleep and you miss them so bad you can’t even eat sometimes. What do you think this is going to bring you more of? You are basically showing the universe with law of attraction this is what you want. It’s not what you want of course but this is the way the universe works. You get what you think about and feel about. 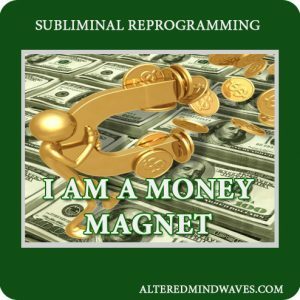 This is the language of the universal mind and this is how law of attraction really works. You think and worry about what you don’t want and that’s exactly what you’re going to get. Law of attraction and the universe knows no difference whether it is good or bad it just delivers what you are showing it. 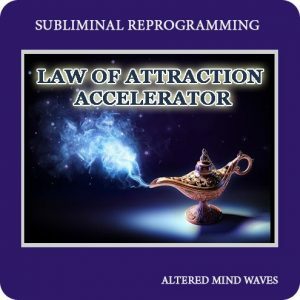 I hope that helped explain how law of attraction works to some of you that are new to this. You must only think about things you want because this is what you are going to get. Another way to speed up the process is to use meditation. Meditation is a simple process where you sit quietly and think of nothing, you completely shut off your mind and relax. While it is a simple process, it takes a little practice to shut your mind down. I will do another post on it shortly. Meditation can speed up the process of law of attraction because you are no longer thinking or worrying about what you do not have, you just stop thinking for a while and give yourself a break. 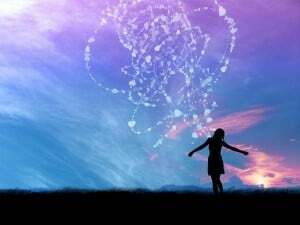 The universe knows what you want already and by meditating and shutting your mind off you can connect with a higher power. This is where inspiration and great ideas come from. 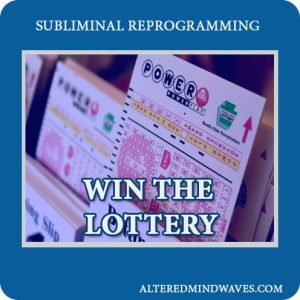 Another process you can use to speed up the process of law of attraction is to use subliminals. I recommend making your own, in your own voice, tailored exactly to your needs. 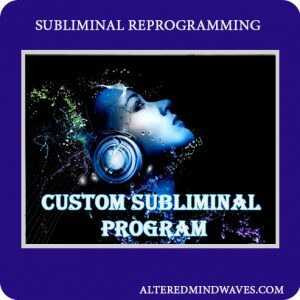 If you do not know how to do that you can pick up a copy of our course Subliminal Power System along with the backing tracks needed to produce, mind altering, life changing, audio tracks. 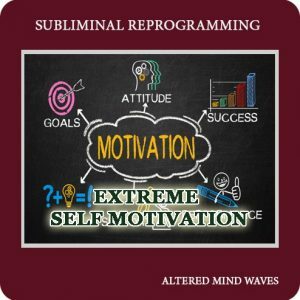 Subliminals will speed up the process of manifestation the same way meditation does by shutting off your thoughts, putting you into a very relaxed state where the subliminals can seep into your subconscious mind and change your beliefs, they are very powerful if used correctly. 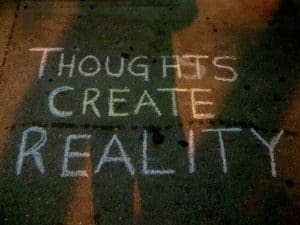 Affirmations, mind meditation, visualizations, gratitude journals and all other methods of law of attraction basically have the same purpose and that is to change your deepest beliefs. 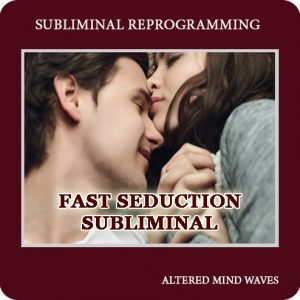 That is why I always recommend using subliminals they can really speed up the process of manifesting your desires. I am going to repeat something again and that is “think about what you’re thinking about” then ask yourself is this what I want to attract into my life? Because what you are thinking about is what’s going to appear in your life, like it or not. If you have any questions or comments let’s get a discussion going below and if there is anything else you would like me to write about or explain let me know. 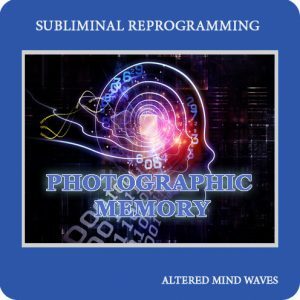 Does subliminal messages work if I am trying to get my ex back but she has split personality disorder. I’m confused . I’m new to this . 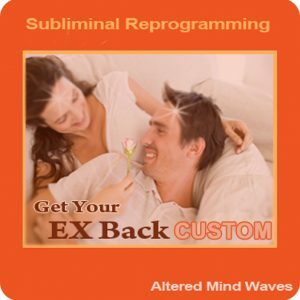 I have been following Veronica Isles on how to get your ex back . In my case it is a friend I’ve had for 2 years . We talked everyday and at the end of June we were very close . A week later they wanted nothing to do with me . Totally out of the blue and told me they had a new person in their life . I was devestated. Everything was fine just days earlier. We’ve parted before and we always came back . Even when this person was in relationships. We always talked . But this time it seems different and I want the friendship back . So I’m hearing LOA I can do this . But then I’m hearing to act as if the person is already in your life . But I’m also hearing you need to let go of it . How can I do both ? I’m confused and devestated. I just want my friend back . Can somebody help me ? I’m losing my mind !! If you are desperate it won’t happen. I just wanted to say thank you so much for sharing your stories. It has been 23 days since my ex contacted me. He wished me a Happy Mother’s Day and you need to know he was terrible about saying or doing anything on holidays and it totally hurt my feelings especially because he knew how family things mean so much to me. We have been friends for 2 yrs and we tried two years ago to date but he pushed me away. When we first dated I had bought him a stuffed animal dog because he kept saying he wanted to get a dog but did not want the responsibility. So I bought him the dog to let him know he was being watched over. Last year exactly at this time we got back together and I went in his home and the dog I had given him is still there sitting just as it had always been on his bed watching over him. He had told me I have been the only woman since his divorce that he has ever wanted to be with. This last year he was recognizing that I was not myself on social media. He is the only one that reached out to me and I confided in him like a friend. Not thinking by anyway he wanted a relationship. I told him I really needed a friend but he kept pushing for more. I fell hard. After 4 months he started acting distant and his texts were few. I started to wonder what was going on. Was it another woman. I became paranoid. I can tell you for sure the law of attraction works because I caused my own drama. well after dating 5 months. He suddenly had a stroke. He is in his 40’s. He texted me from the hospital. Saying sorry he had not been around that he had had a stroke. I asked if I could come see him and I went immediately. I have a little boy and he loves this man like I do. We visited him in the hospital. We were the only ones to buy him get well balloons and a monkey to hold the balloons. To this day and its been 7 months and he still has the monkey hanging in his house. He had a surgery to clear blockage in his neck and was doing well until his 3 day of being home. My son and I stayed with him that day. He had a surgical tie come loose in his throat and he was bleeding in his neck. I thought he was going to die. My son was so upset. It was so very scary. I called his mother and his sister and they had asked me if I wanted to go with them to the hospital. I choose to clean up his place since I had left dinner on the stove. I hurried and rushed to leave. It was a 30 min drive. On the road it was very late and I had wondered seriously what in the world was I doing with this man. I had no idea who I was to him really. All I know is I was so scared of losing him. I prayed to God. And he showed me our wedding day. It was never something I had ever wanted to see ever in my life. But there is was in my head and to this day I could not deny it. I continued onto the hospital thinking his mom and sister would be there. They were not and I was immediately taken back to emergency. Asked who I was and I explained I was not sure I was his girlfriend. I started to cry as the surgeon said it was very serious and he had not in all his practice seen a patient come back after days of healing. I was so scared he was going to die on me. I was asked to sign a consent to have him operated on. It was well over another hour before his mom and sister arrived at the hospital. It was good I was there. But I was uncomfortable. His sons come from 2 hours away. In their early 20s. After the surgery we all went to see him. He just cried horribly in front of us all. He said he was so sorry for scaring my son and I told him my son would be fine. In the months that followed he was very scared to be alone and so every weekend I would come with my boy and relieve his mom and we would stay with him. 4 months we were there with him. I fell more and more in love with him and he drew further and further from me. I told him how I felt about him and the distance between us got worse. I feel like God saved him not once but twice and it was miracles each time. We are a good fit as a family. I have never known of any man that showed such patience with my son or with any child. And he was the first respectful man I have ever met. But I could not deal with him pushing me away. It took over in me to try and keep chasing him. I finally broke away and unfriended him on fb. He seemed so affected by this and I could not understand. It was not like he was doing anything to keep me around. I broke up with him beginning of April and tried to confront him in texts on my reasons. I had to go back to counseling after over 2 yrs of going. Because I have been so very sad. I cannot afford to be depressed with such a little boy. But I do love this man. I so do believe in the loa. I have the best job I could have ever asked for in my life. And I manifested it all through my faith in the loa. You all need to know that even though we are not together. I totally believe we will be. I just need to keep my head up constantly and not doubt. And short of having my mind altered I really don’t know how to keep positive all the time. I miss him so much. I do pray for all of you and I have read your amazing stories. Please know this law really works. I have the home life and career I have always dreamed of. After 29 jobs in my life at only 48. I can tell you this is a fantastic miracle. I pray very shortly to tell you that we are back together again and that our relationship is stronger than ever and extremely happy. That we will live happily ever after. Great success. Sorry for it being so long. 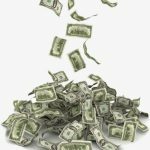 When you say act…would that be like buying a train ticket for a planned trip even though there are things that haven’t shown up yet that you know will (based on the work you’ve done with the LOA)? It almost feels like buying the ticket will be a catalyst to finally resolving those other situations…could that make sense? Hi Mike Thanks for another brilliant article. I have a question . There’s this really handsome Italian guy at my work who I like and I think he likes me too. I’m not sure how old he is. He’s got a few grey hairs but he may be a graduate and therefore too young for me. Can I manifest he’s the right age for me ? I practice law of attraction for 2 weeks and now i follow the steps from the book The Magic, I’m on the day 8, I feel like I changed, I have moments when I just think involuntarily like that “I want to…” and over a few minutes or hour I receive it. But with my ex….I did’t make any progress, I writE in my juornal every day that I’m grateful for having a boyfriend who loves me. I have a some moments when I’m worrying about this…if I can get my ex back…What I should do? Stop worrying, when you do that your thinking about her being gone and lacking in your life, that will attract more of the same. If it feels bad do not do it, if you feel good thinking about here being with you then you are on the right track. Tell yourself she is temporarily away on vacation or on an out of town job if that helps. 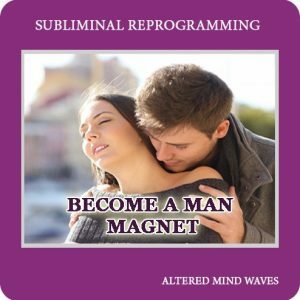 Thanks mike this really helps, weve remained friends and even become intimate once since the break up, i believe we are still together and when shes not around i imagine something like shes at work or at a friends, its hard but im working on manifesting every day! MY ex heard that I was using the LOA to attract her back. 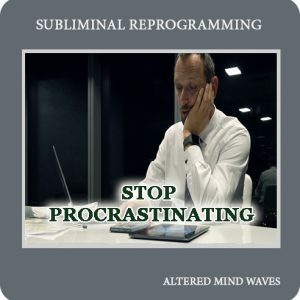 She saw an email on my phone about LOA .After this she has now broken it off again with me because she says LOA is magic and takes away free will…is there any hope for me to attract he back again and win her for good when she has this mindset? Really useful article Mike. Thanks so much for writing it ! 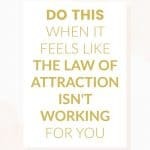 It really highlights the mistakes people like myself make when practising Law of attraction. Hopefully I can practice it the right way from now on.